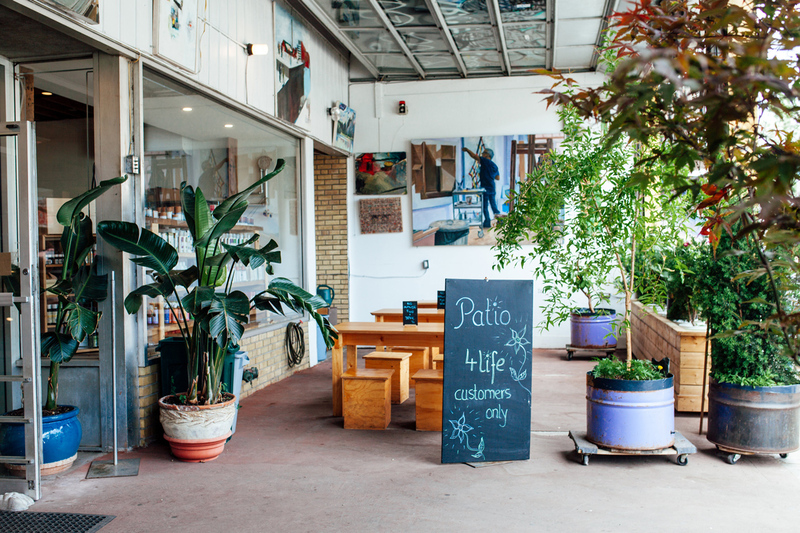 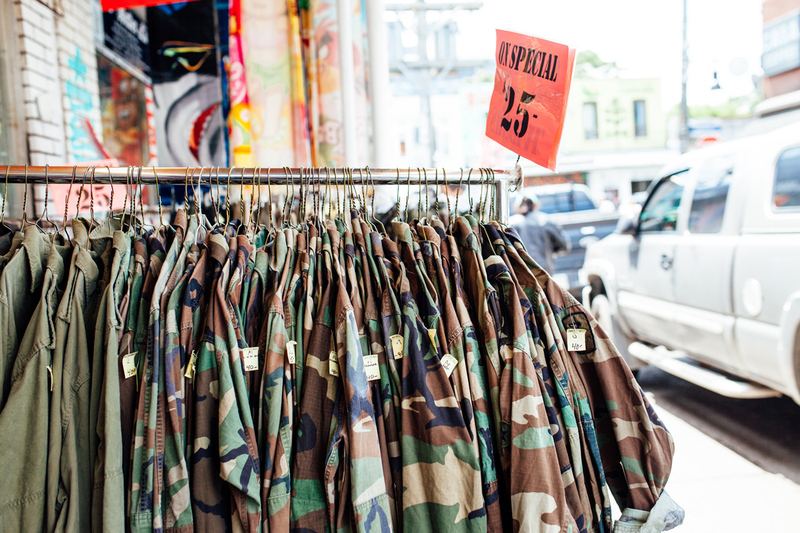 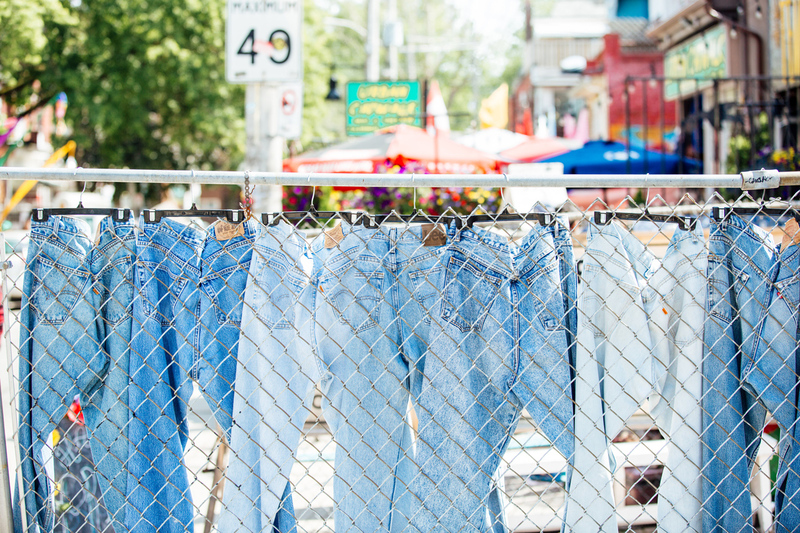 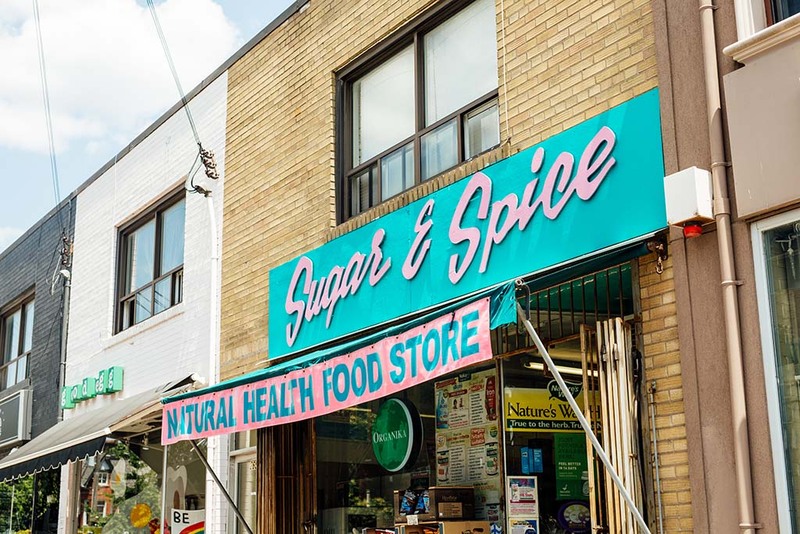 When you’ve had your fill of classic Kensington activities like sorting through the racks of its famous thrift shops and exploring the wares of its open-air sidewalk stalls, stop in to see what’s cooking in the kitchens of Kensington Market’s best restaurants. 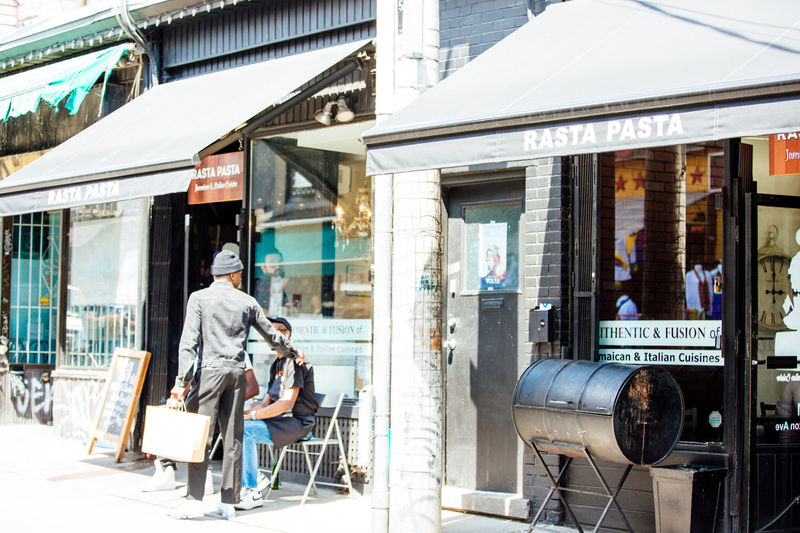 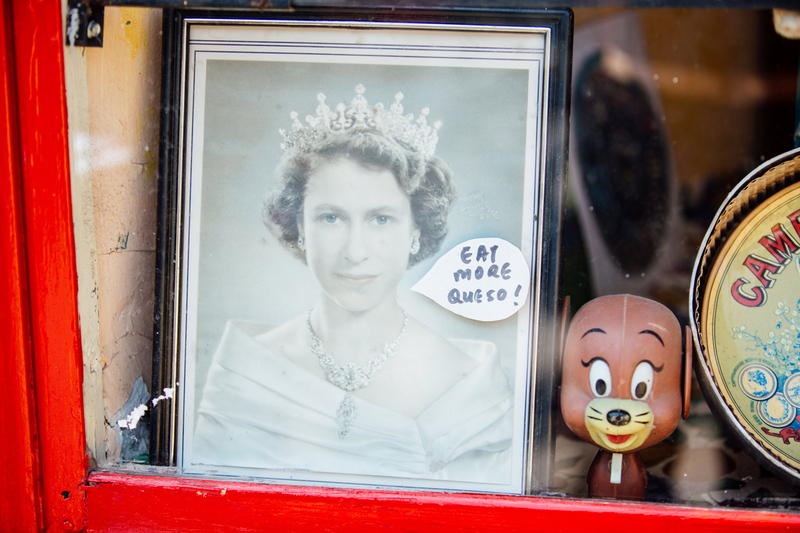 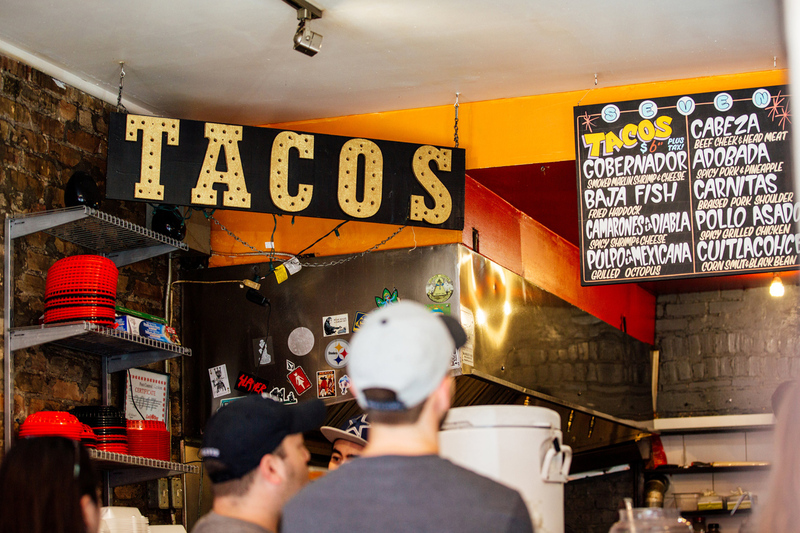 With everything from Jamaican fare from Rasta Pasta, to Mexican grub up for grabs at Seven Lives, Toronto’s multicultural heritage is a key ingredient to the signature flavour of Kensington Market’s food. 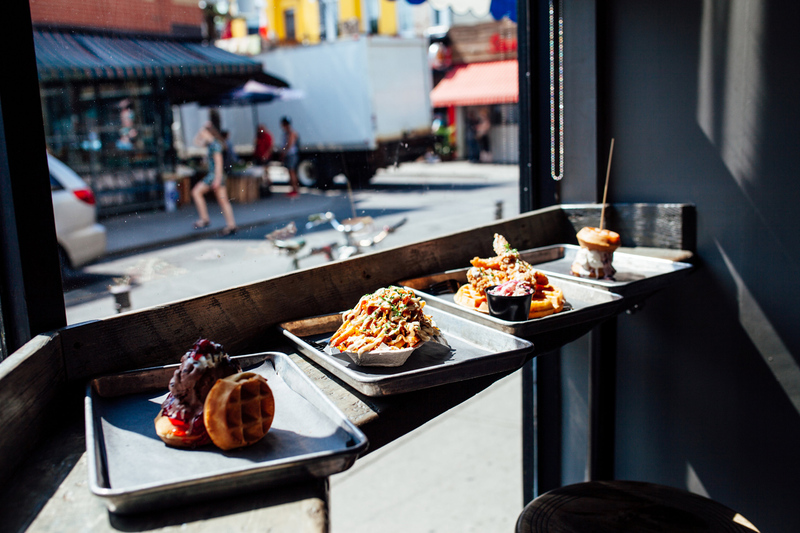 Wherever you choose to eat, you’ll be treated to a show. 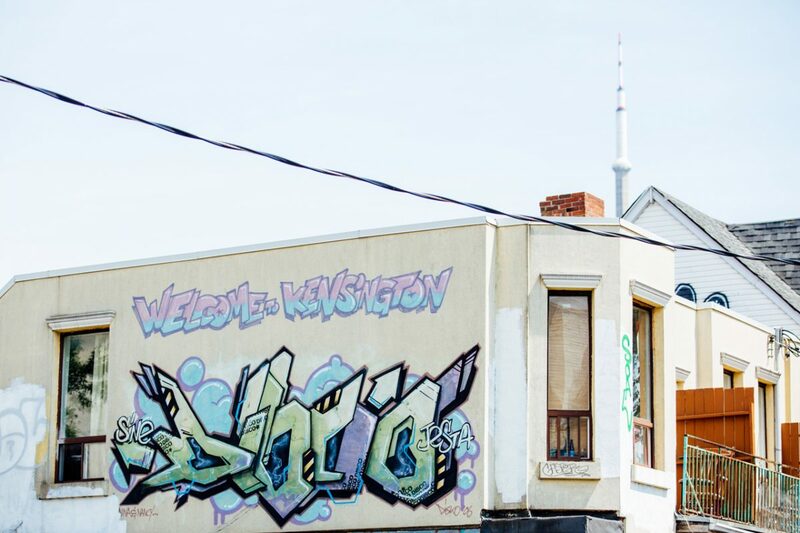 Street life meets street art, as murals spanning several storeys act as backdrops for impromptu concerts orchestrated by Toronto’s up-and-coming musicians. 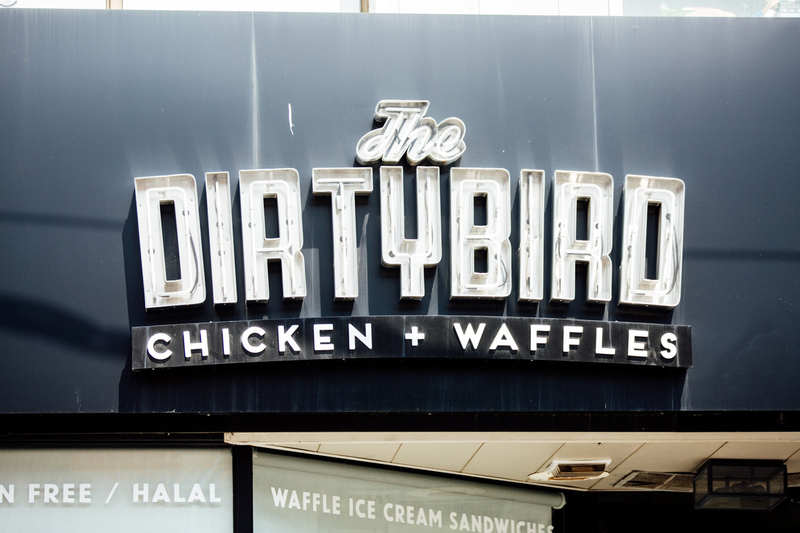 Catering to this artistically-inclined crowd takes a certain level of creativity, so even classic comfort food dishes like chicken and waffles are served up with a twist at The Dirty Bird, the neighbourhood’s Northern Fried Chicken hotspot. 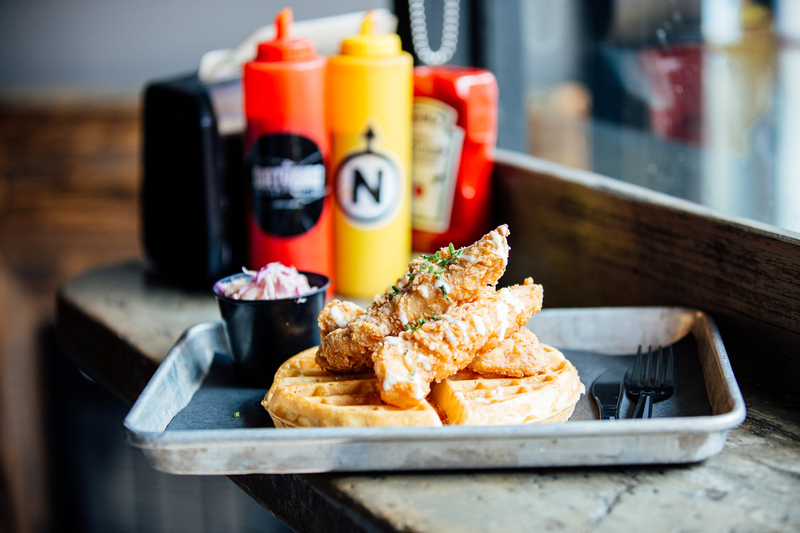 Whether it’s something in the hot sauce or the coleslaw, Kensington’s unique spice is infused into every eatery. 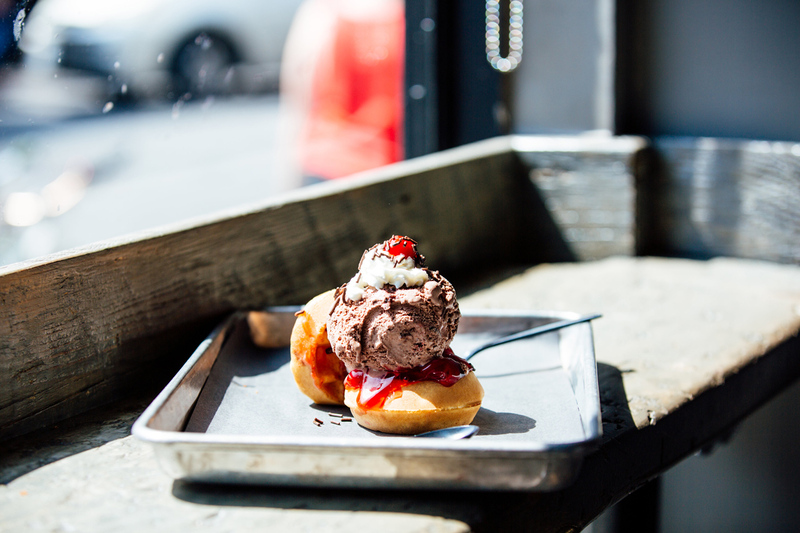 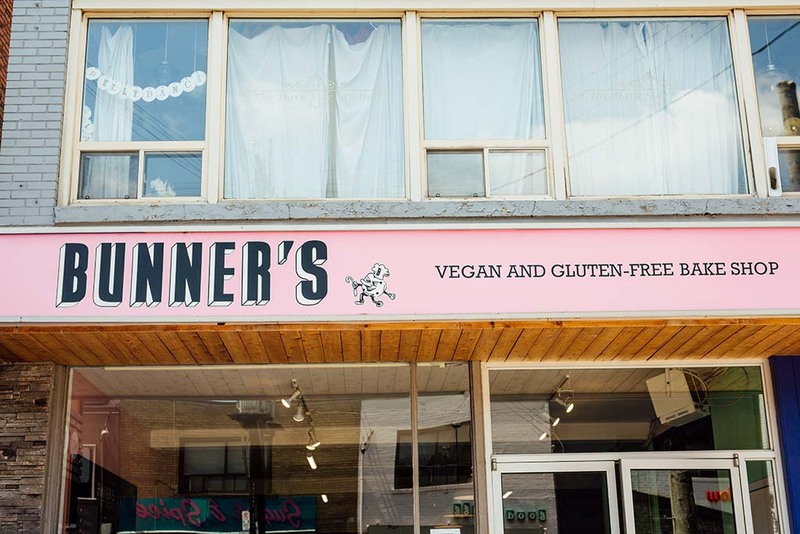 After dinner, snag something sweet from one of the many vegan restaurants in Kensington Market. 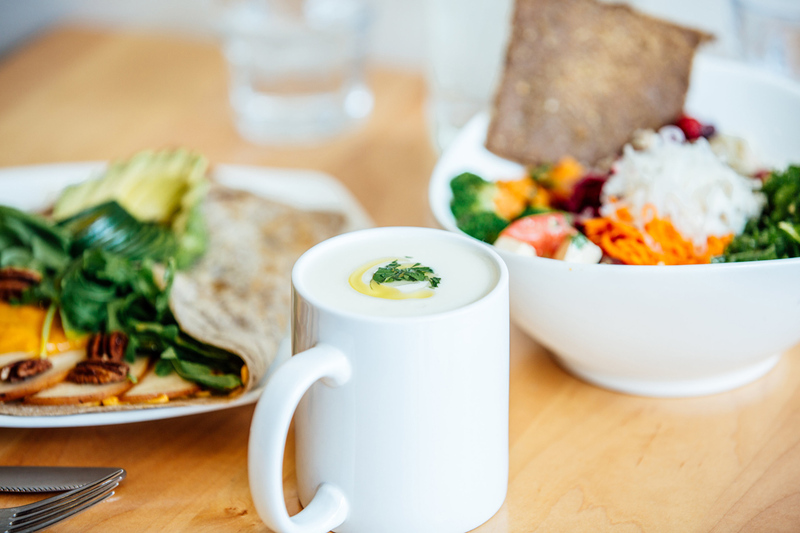 In this neighbourhood, vegan doesn’t always mean healthy and it definitely doesn’t mean boring, with a decadent variety of desserts on the menu. 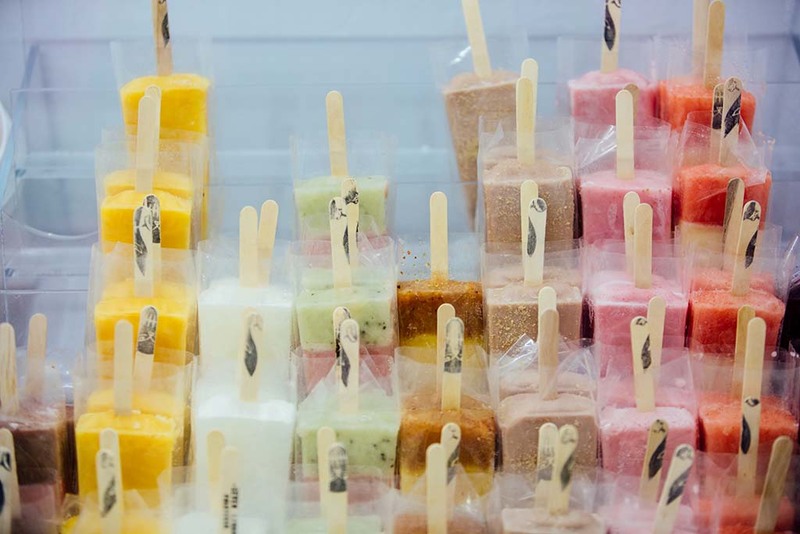 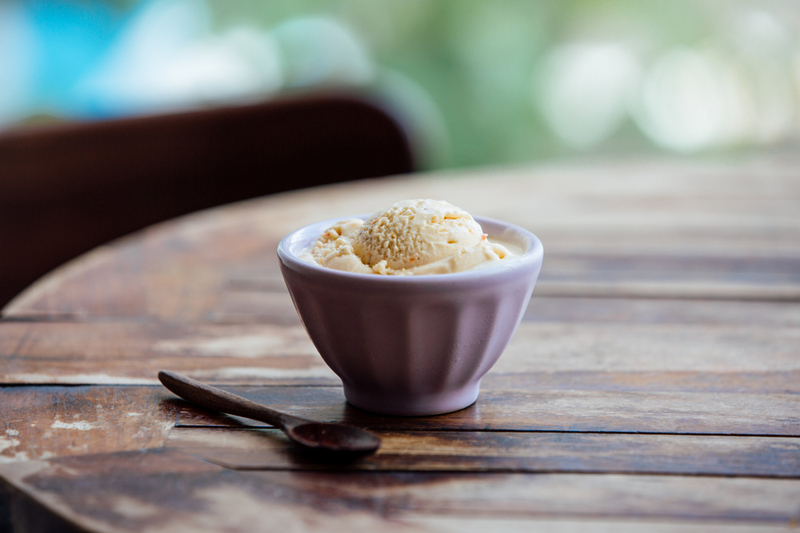 Experimental vegan ice cream flavours like sea buckthorn and strawberry basil from Hibiscus Cafe will have even the most die-hard dairy fanatic doing a double take (and a double scoop). 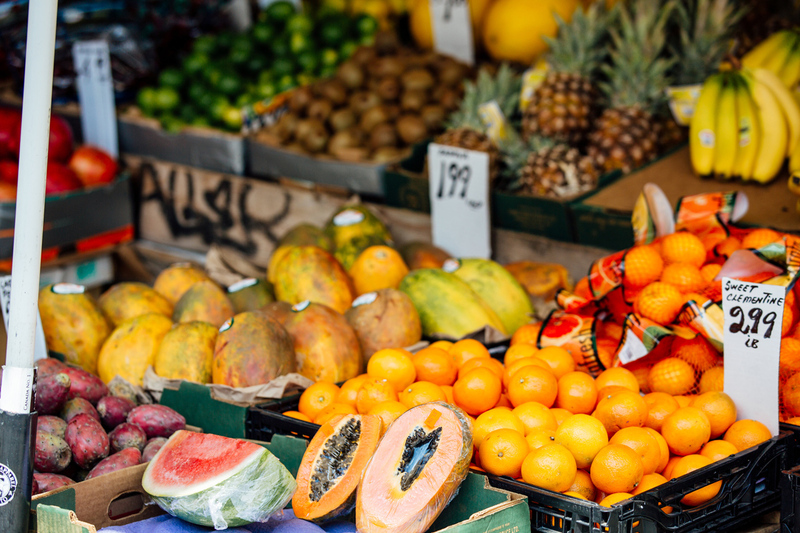 If you’re looking to get a little more hands on in your next meal, venture along the aisles of the area’s well-stocked grocery stores. 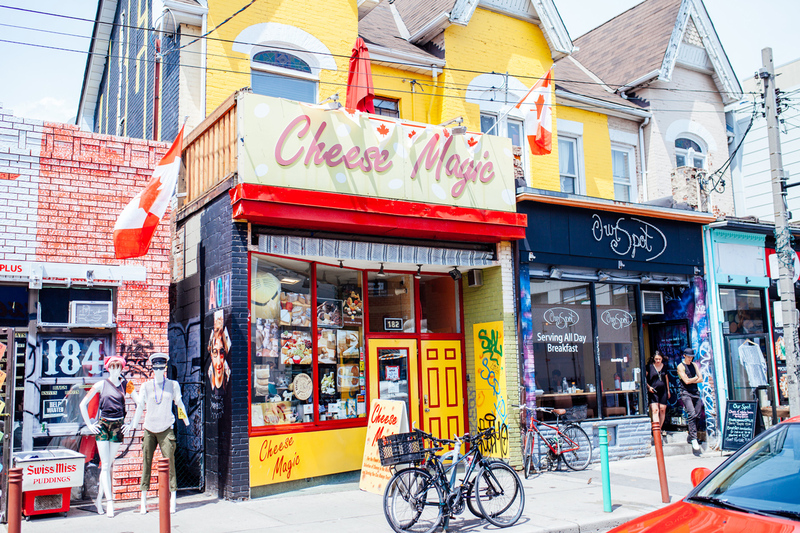 Regardless of your tolerance for lactose and lines, Global Cheese and Cheese Magic are well worth the wait, if you know what’s gouda for you. 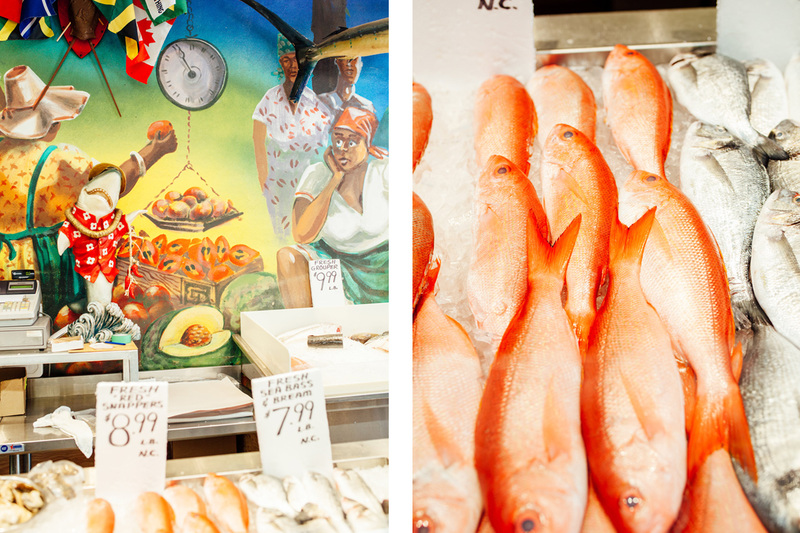 Local fishmongers like The Seven Seas Fish Market keep customers hooked with an impressive array of seafood to reel in even the pickiest pescetarians. 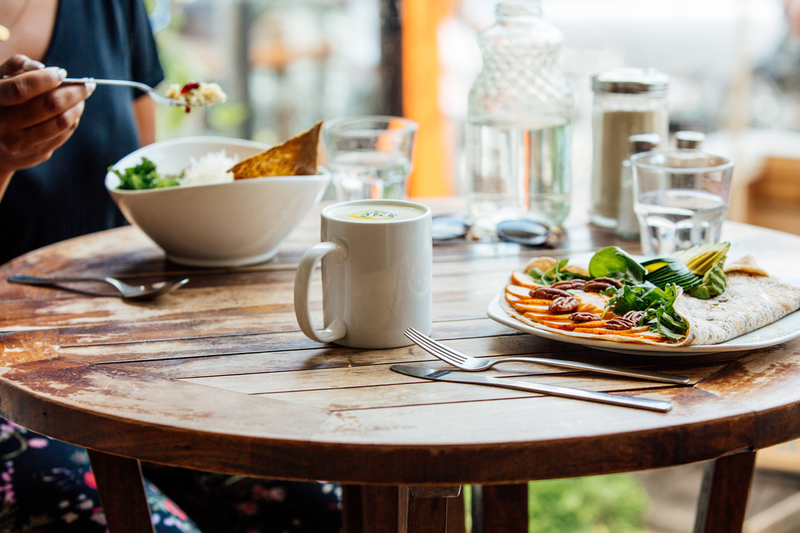 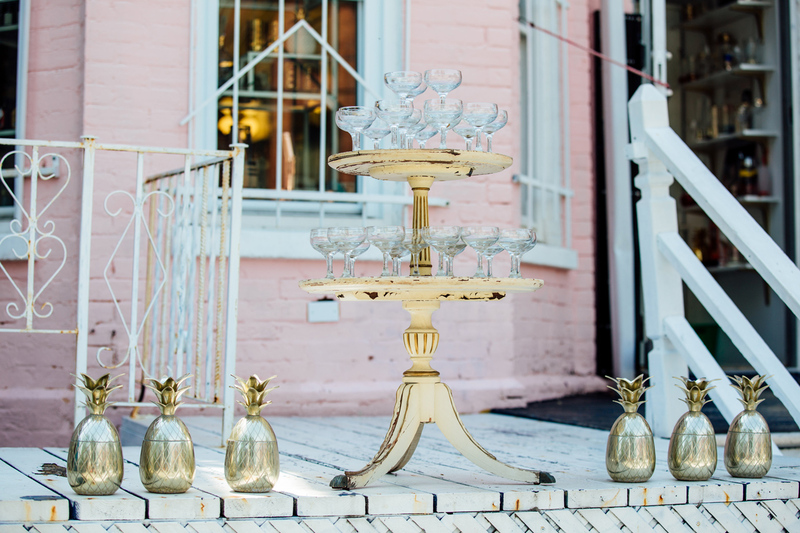 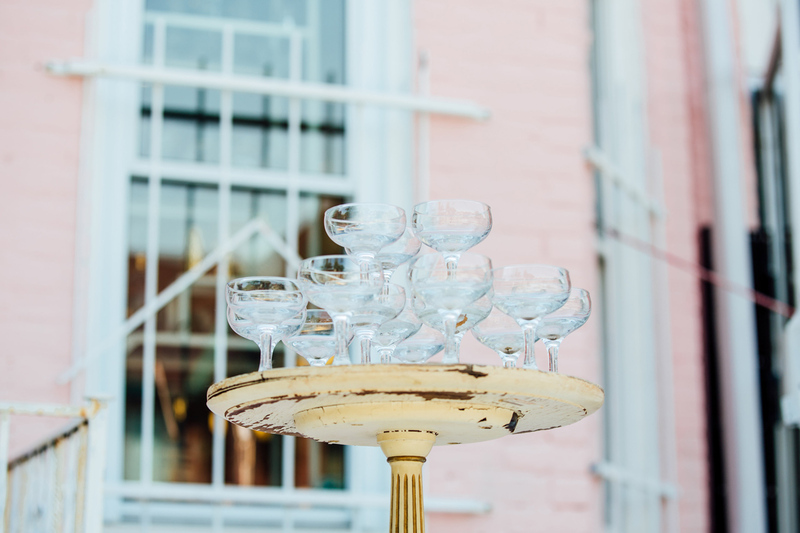 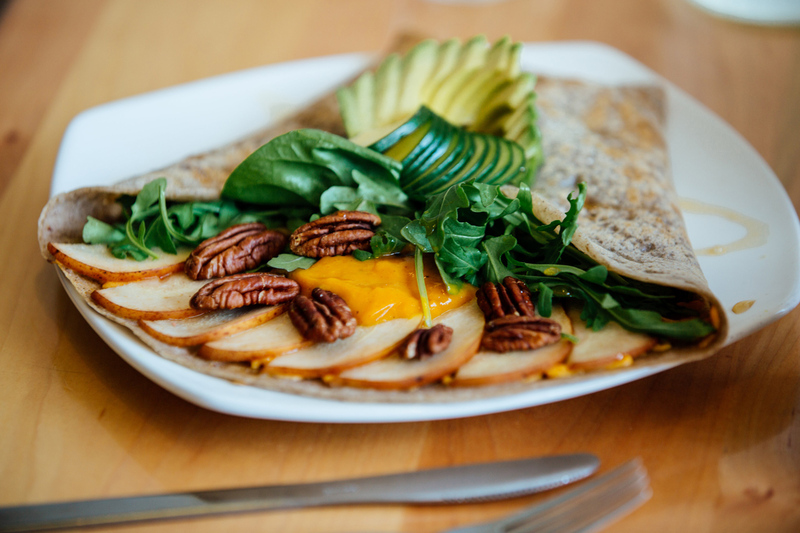 After all this indulgence, you may feel the need to stop in at one of the scores of health food stores dotting the area and pick up kombucha or kefir to atone for the countless culinary experiences Kensington dishes out. 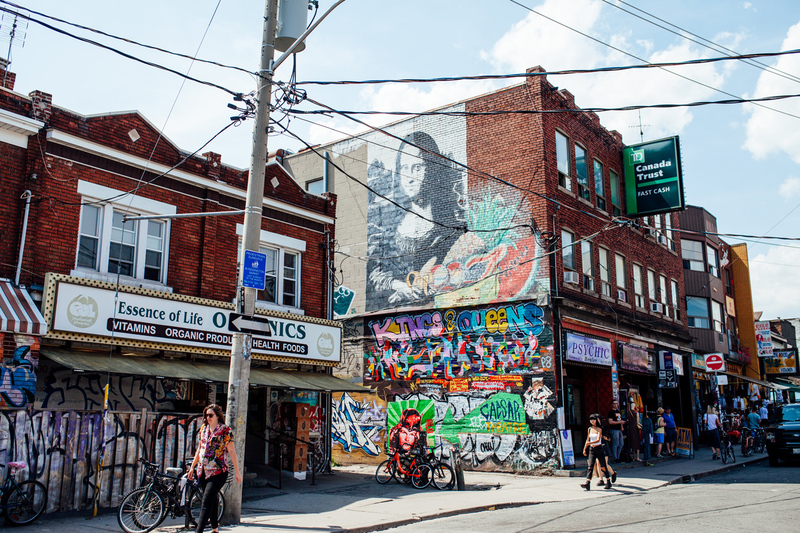 But if you still have room, a colourful feast for the eyes and palate awaits in neighbouring Chinatown: the perfect second course to Kensington Market. 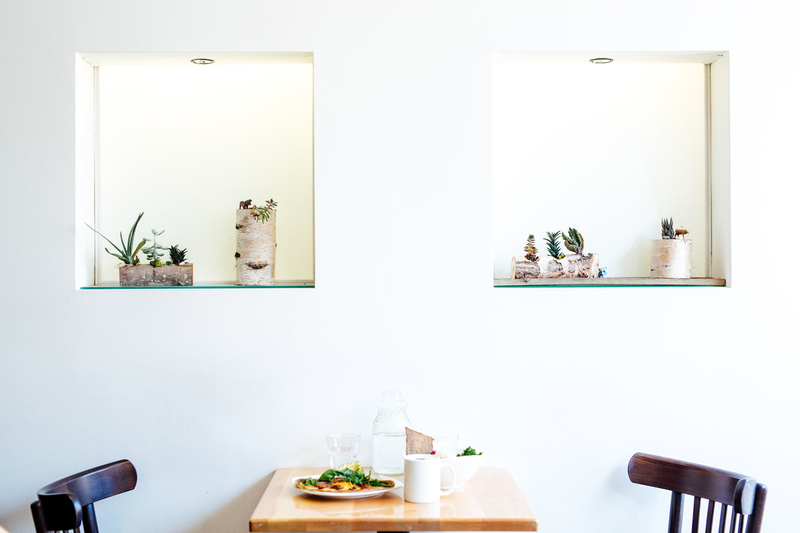 Get your caffeine fix with some of Montréal’s tastiest coffee shops. 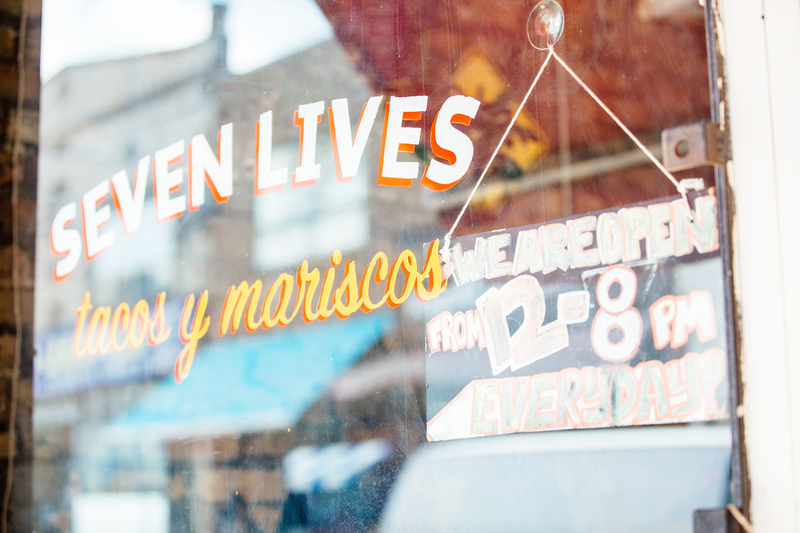 Wicker Park/Bucktown is Chicago’s epicentre of chef-driven restaurants that’s sure to impress all palates.